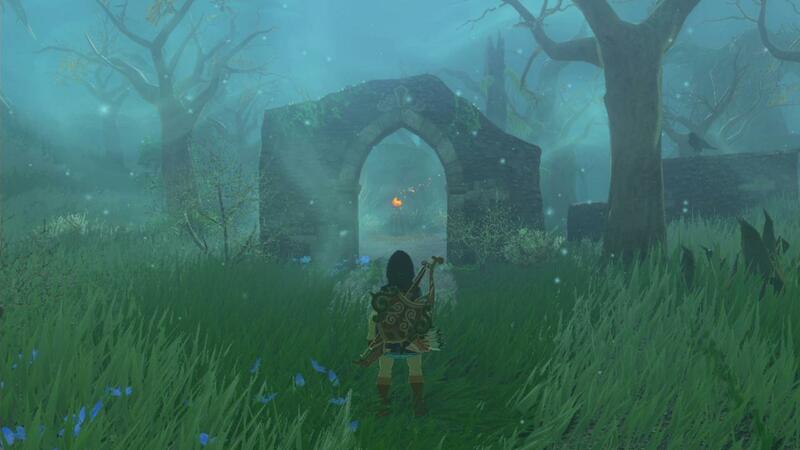 The Lost Woods have appeared in… how many Zelda titles now? The resting place of the Master Sword, the path to the Sacred Forest Meadow, and a frustrating maze of tree after tree if you don’t really know where you’re supposed to be going. Turn one wrong direction, and find yourself right back at the start. Yet, in Japan, the concept of the Lost Woods is not exclusive to Zelda alone. So where else can we see it? Writer Clyde Mandelin of Legends of Localization has taken to answering this question by looking at exactly what is in a name. In his article The Many Translations of the “Lost Woods”, he examines the various English translations of mayoi no mori (迷いの森), the Japanese name, and several occasions it has appeared under a different name in English. Just as Zelda‘s Lost Woods is mayoi no mori, so is Final Fantasy VI‘s Phantom Forest, Paper Mario‘s Forever Forest, and Dragon Quest V‘s Neverglade, each a different — and accurate — translation of the same phrase. How absolutely fascinating and intricate language translation can be! Are there any other instances of mayoi no mori that you can think of in other games or shows? Let us know in the comments below!